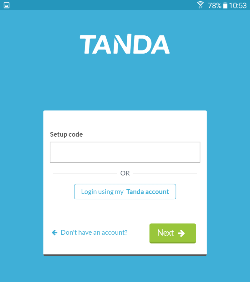 When the Time Clock was setup and it asked you to either use a Setup code or Login using my Tanda account, a Team Manager might have used their details. This means that any staff not in that Team cannot clock-in. The Time Clock was originally authenticated by an Admin who has now been deleted from Tanda. All staff entered in Tanda will then be able to clock-in and the information sent to their Timesheet.